ewa-marine C-AFX rain cape, Camera not included! The C-AFX rain cape is the perfect protection against rain, spray, splashed water and even dust, made to fit all SLR cameras (digital and analog) with zoom lenses and a top mounted flash. The camera is fixed directly into the front port by means of the ewa-marine C-A adapter. Due to this adapter system the cape will always remain properly positioned in front of the lens. 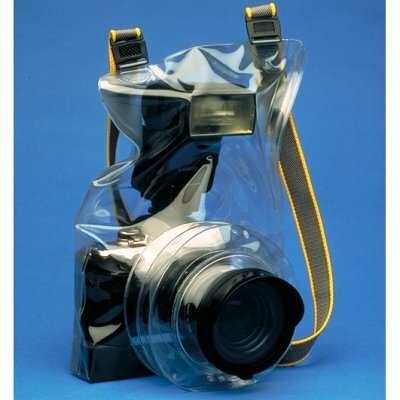 Various zoom and wide angle lenses can be used with the C-AFX raincape. 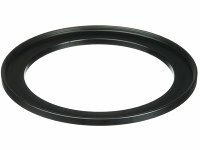 All filter threads from 49mm to 62mm are supported with a C-A adapter-set as a standard. You can also order a special C-A adapter for lenses with 67mm filter thread diameter as optional accessories. We also offer a specially modified cape for lenses with a 72mm, 77mm or 82mm filter thread which is called C-AFX100. The C-AFX raincape can also be closed by means a zipper to allow maximum protection or for transport.